We Were Promised Jetpacks in Montreal or Quebec City? Inform me about the next events for We Were Promised Jetpacks. Enroll yourself to our priority waiting list for We Were Promised Jetpacks to be alerted when new tickets are available. Filling this form doesn't engage you to any purchase. 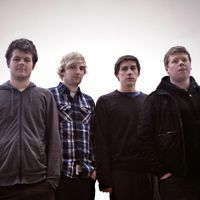 We Were Promised Jetpacks comes to town ! Hurry and reserve your tickets from our impressive variety. You may also obtain tickets for other concerts at the Bell Centre, Theatre St-Denis, Theatre L’Etoile Banque Nationale and more. At 514-Tickets we have tickets for a wide variety of shows, concerts and sports tickets. Benefit from our 100% Satifaction Guarantee service which includes fast delivery and priority purchase always received ontime for your event. Moreover, our service guarantees the accuracy of the tickets received. Reserve your tickets for We Were Promised Jetpacks concert here at 514-Tickets today !